Moisture can cause massive problems in your home, so it’s important to have the right treatment to your walls to ensure there is no structural damage or hidden issues. A damp-proof course (DPC) acts as a horizontal barrier in the wall to resist moisture. Moisture will rise through a structure by capillary action, known commonly as rising damp. This prevents water transferring from the earth to a building. Without a DPC moisture will rise to the walls, creating cracks and breaking the cement-paint bonds. This will create dark spots on the wall and mould will form. Damp proof coursing is installed into most homes when built, but over time its effectiveness can deteriorate. This means you may need a top-up to ensure moisture is resisted and your property stays safe. Old properties commonly have a lack of damp proofing walls and this is picked up quickly with surveys that register how badly the moisture content is. A DPC is often installed between two courses of brick as a thick plastic strip. You can also have damp proofing for the floor, known as damp-proof membrane. This is a thick polythene slab laid under the flooring. DPCs and DPMs can be welded together to create a continuous barrier and prevent moisture penetration further. 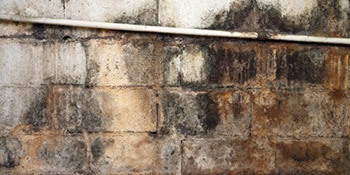 Damp proofing is crucial to preventing rising damp issues and is something you should certainly look at if there are any problems. If left untouched you could face more hassle and fees later down the line. For up to four FREE quotes for damp proofing costs, complete our quick form and hear from local, vetted and reputable companies. Project: We have a medium sized mould patch in our bathroom. We would like the mould removal done as soon as possible. How much should we expect to spend on removing the mould properly? Thank you. Project: I have mould by my bedroom windows that I need removing. I had no problem with sentinel design and build in giving me a quote. I would have liked more companies interested in the job to get a fairer understanding of the work involved. Prompt , new his job.